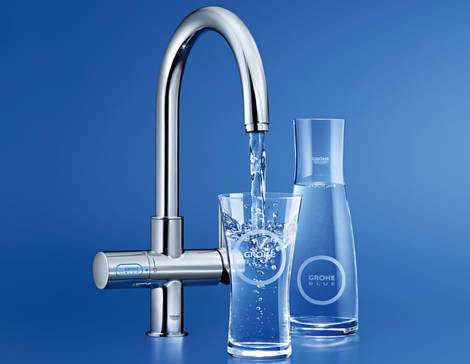 GROHE Blue® Pure is the alternative for purified, still water straight from your kitchen faucet.Using the unique GROHE Blue® filter technology it turns ordinary tap water into fresh water, removing all of the substances that can impair its taste. Now for those who have never had the pleasure of drinking filtered water, we at The Plumbing Connection have some advice for you: do it. In all seriousness, the taste difference is incredible, and just by using Grohes’ water filtration device, you will find yourself wondering how you ever managed to survive without it. Which is why we at The Plumbing Connection can and will install these wonderful pieces of technology. So give us a call at:(941) 747-2727 to get yours today!